My name is Áron Méder. I was born on 15th November 1979 in Budapest. In 2004 I graduated as an electrical engineer at the Technical University in Budapest. I have been sailing since 1990. I prefer tours and amateur competitions to professional ones, although I had also participated at the professional competitions for couple of years. My teams represented: VMSE, SZTAKI SE, MAFC, TVSK. The student can leave the teacher, but the teacher can never leave the student. Since 1994 I have been sailing on the sea visiting Croatia, Greece, Crete, Cyprus, Italy and France. Among the best ones, really amazing ones were Corse, Sardinia and Elba. I would recommend them to everyone! Within last 12 years I have sailed about 10 000 (tmf) on different seas. I own an international certificate of competence for pleasure craft and GOC. Apart from sailing I am very interested in boat building and repairing. I have been refurbishing mine for almost a year. The story of my Carina’s refurbishment. 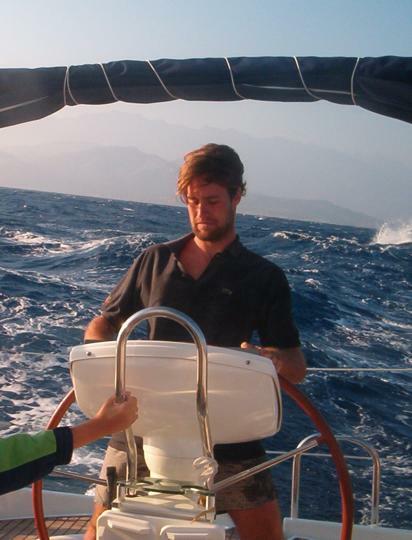 In 2006 I start sailing with my Carina! Áron Méder 2006. - Last edited: 2006. január 27.